3D films fail to live up to expectations, new study shows | What Hi-Fi? Another month, another report on 3D movies that will make uncomfortable reading for the studios, cinema chains and hardware manufacturers trying to convince consumers to add an extra dimension to their viewing. Brandwatch's new 3D Films Report analyses social-media reaction to movies this summer, considering comments on both 3D in general, plus three specific 3D releases: Pirates of the Caribbean: On Stranger Tides; Harry Potter and the Deathly Hallows PtII and Green Lantern. It found a clear swing in filmgoer opinion from positive anticipation of the 3D movie experience to negative post-viewing reflection, though most viewers still enjoyed the movie. Specific complaints include: paying a premium to watch in 3D; uncomfortable 3D glasses; inappropriate use of 3D; both underwhelming and/or heavy-handed use of 3D effects; and headaches. There also appears to be a growing backlash against 3D films that were shot in 2D but converted post-production; consumers feel they're not getting 'the real deal'. Interestingly, Avatar - specifically realised in 3D - is still held up by most people as the best example of 3D; two years on, it hasn't been surpassed. It all starts well for 3D, the report reveals, with a range of positive statements about looking forward to seeing the movie (40%) through to the prospect of seeing a favourite actor in 3D (10%). However, negative comments are more specific, including: 3D adds nothing/is a waste of time (29%); 3D is over-used/too heavy handed (20%); ticket price is too high (18%); 3D glasses are uncomforable/'naff' (18%); these films aren't genuine 3D (10%). The report also notes that many highly influential voices in the social-media world have spoken out about 3D. For example, despite currently being one of the stars of a 3D release (Tintin), Simon Pegg has regaled his 1.5 million Twitter followers with comments about how marketing execs 'inflict' 3D on movies, and that '3D is novel, not evolutionary". Film critic, Mark Kermode's sceptical stand on 3D is also regularly noted. But it's not all bad news for 3D movie makers - the right film and the right treatment can still provoke a largely positive response, even if enthusiasm does wane along the way. For example, comments about Green Lantern in 3D started off at 83% positive, 15% negative and 2% neutral before viewing. After viewing that declined to 54% positive - more than half the viewers - and negatve remained at 15%. The latest Pirates of the Caribbean installment showed a larger fall-off in positive feel - from 85% to 52% – but a massive rise in negative feel, from 13% to 45%. Still, that means more than half of viewers enjoyed the experience. 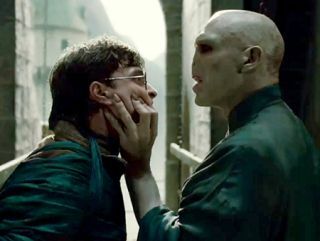 Similarly, Harry Potter and the Deathly Hallows Part II was seen as a positive 3D experience by 56% of viewers, with 40% negative - a switch from the 73% positive/25% negative split pre-viewing. So, what do you think - does this echo your own 3D viewing experience? Let us know in the comments box below.